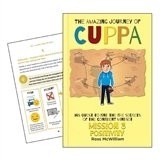 The CUPPA books are perfect for helping children to develop a confident and resilient mindset. 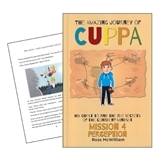 The books follow the adventures of Chris Cupsworth or ‘CUPPA’ as he develops his mindset over the course of five missions. 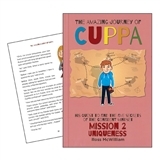 Each new CUPPA book has a great story for your pupils to follow, as well as decision points, where they can think about what CUPPA should do next. Each book has lots of activities for pupils to complete, helping to consolidate their learning and to help them to develop their confidence, just like CUPPA! Join CUPPA on his second adventure and complete Mission Uniqueness.